Retired Staff Sgt. Jason Morgan shared his uplifting story with active-duty servicemembers on Ramstein Air Base, April 3. 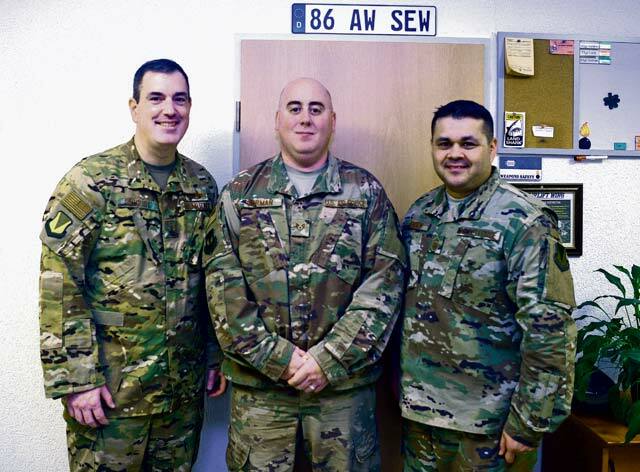 Morgan was the guest speaker during a resiliency event organized by U.S. Air Force Col. John P. Zapata, 86th Mission Support Group commander, and Technical Sgt. Destini Yaden, Deployment Transition Center resiliency technician. In 1999, Morgan was thrown from his vehicle after it careened off a cliff during a counter narcotics mission in South America. The vehicle rolled over Morgan and caused life-threatening injuries, including a debilitating spinal cord injury. Morgan, a Texas native, would spend half of the next seven years recovering in the hospital, unsure if he would ever be well again. Morgan believes the staggering 22 U.S. veteran suicides per day is closely tied to the individual’s lost sense of purpose in life. Morgan said he knew he had to find purpose in his life again. Morgan discovered by tapping into his competitive spirit he would not only further his sense of purpose but also serve as a source of inspiration for his two children. 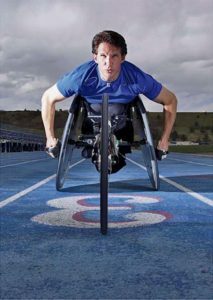 Despite being paralyzed from the waist down, Morgan began swimming, snow skiing and whitewater rafting. 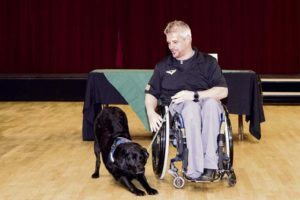 Morgan would also become a regular competitor and medalist in the U.S. Warrior Games, a joint-force, Olympic-style competition open to wounded, ill and injured U.S. military members and veterans. Morgan trained for the next five months; exercising every day. Doctors informed Morgan he had an infection in his bone. They assured him, however, the operation would be non-invasive and predicted no more than a one night stay in the hospital. Morgan was relieved by the news as the marathon was around the corner and feared missing out on additional training. He received an MRI and returned to the hospital three days later for the results. Doctors told him they could attempt to save the leg but the odds of a successful surgery left them skeptical. If, by chance, the surgery was even successful the recovery would result in an additional year spent in the hospital. Morgan was given ten minutes to make an unequivocal life-changing decision. Fortunately his service dog, Nepal, sensed the anxiety Morgan experienced with this decision. In that moment Nepal gave Morgan a sense of relief and a moment to think clearly. The answer was clear to Morgan. He informed the doctor he wanted the leg amputated the next day because he had a marathon to compete in. Following the amputation, Morgan went through intense physical rehabilitation sessions led by a team of physical therapists that knew how important this marathon was to him. Weeks later, Morgan endured 45 mile-per-hour winds and heavy rain in the midst of Hurricane Sandy before crossing the finish line of the Marine Corp Marathon in Washington, D.C. In good humor, Morgan recalls a moment during the race. Morgan said he couldn’t help but think how different he can live his life knowing he completed what he set out to do against such incredible odds. Completing the marathon was a huge boost in his life, he said. Morgan believes one of the biggest compliments he’s received is when his son, U.S. Air Force Airman 1st Class Grant Morgan, 82nd Security Forces Squadron entry controller, followed in his footsteps by enlisting in the U.S. Air Force two years ago. In the final moments of his speech during this resiliency event, Morgan had a message for his audience.